Ismo Eskelinen's extraordinary career began when he was only 17, spurred on by many competition victories and prizes (such as the Scandinavia Guitar Competition, Gargnano, the Leo Brouwer Prize, the Guitar Foundation of America, Printemps de la Guitare). Eskelinen nowadays travels the world as a soloist and chamber musician. His repertoire spans music from the 16th century to the present day and he has been equally acclaimed for his performances of Bach as for his premieres of contemporary works by Rautavaara, Tiensuu, Mustonen, and Sallinen. Many leading composers (Vasks, Brouwer, Lachenmann, and Francesconi) have praised him for the intensive interpretations of their works. His appearances have taken Eskelinen to venues such as the Berlin Philharmonic, the Royal Festival Hall, the Théâtre de la Monnaie, Finlandia Hall and the Sibelius Hall. He has performed extensively in Scandinavia, Central and Southern Europe, the Baltic countries and the United States, with leading orchestras with conductors such as Sakari Oramo, John Storgårds, Juha Kangas, Hannu Lintu, Ernest Martínez-Izquierdo and Olli Mustonen. In 2003 he gave the first performance in Finland of the guitar concerto by Tan Dun with the Finnish Radio Symphony Orchestra, and in 2005 he performed the world premiere of the concerto composed for him by Jukka Tiensuu with the same orchestra. Eskelinen is a familiar guest at many music festivals in Finland (the Helsinki Festival, Savonlinna Opera Festival, Kuhmo Chamber Music Festival) and abroad. In 1999 he was a young artist of the year at Mikkeli Music Festival directed by Valery Gergiev. He has been the first ever guitarist to be invited to the Moritzburg and Charlottesville Music Festivals. Among his partners in chamber music are violinists Pekka Kuusisto and Baiba Skride, cellist Jan Vogler and violist Vladimir Mendelssohn. Ismo Eskelinen studied with Oscar Ghiglia in Basel and in Siena. He also studied with Timo Korhonen and chamber music with Ralf Gothóni. 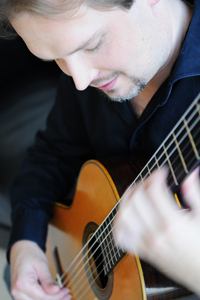 He is Artistic Director of the Sonkajärvi Soi music festival and teaches the guitar at the Turku Music Academy and at the Sibelius Academy in Helsinki.